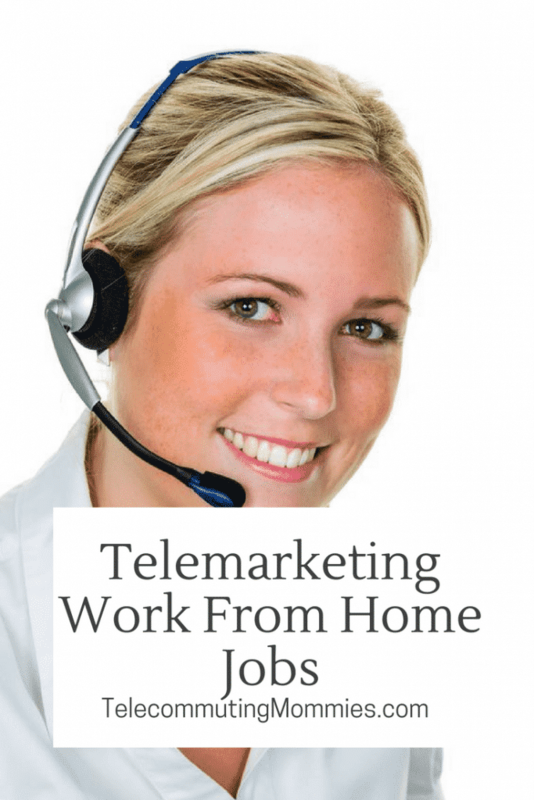 These companies hire people for telemarketing work from home jobs. If you are looking for a virtual call center type position but would rather not do sales then please visit the work from home companies page. Telemarketing involves sales of one kind or another. Telemarketing work from home jobs include working for a call center company where either incoming calls are routed to your phone or you conduct outgoing calls. I like to list these companies separately from the other virtual call center companies because some people are really not comfortable doing sales while others really excel at it. Some are more traditional telemarketing, others are business to business and some are lead generation. What do these positions pay? Some of the companies pay the same as the call center companies and some pay on more of a commission based scale. Most of the virtual call center companies start out paying between $10-$12 per hour. So some of these companies may pay a flat rate like that or some may pay a flat rate plus commission. Each company varies on the hiring process. Some have a simple online application. Some companies may require some degree of a sales background while others may only want a customer service style background. I don’t think any of the companies require a college degree. Once you apply some of the companies may conduct a phone or Skype interview. Because the qualifications of each job vary greatly and the actual specifications of what you will be required to do on the job vary with each company make sure you read about the position before applying. For other positions similar to this you can try FlexJobs. Every job listing is hand screened and 100% verified. You can also search Indeed for Telemarketing work from home jobs.